The growing biopharmaceutical industry in Massachusetts will benefit from an increased presence of support and vendor services, and the expanding collaborative and educational infrastructure in the area will contribute to a growing demand for our bioprocess solutions including virus filtration and fluid management products. 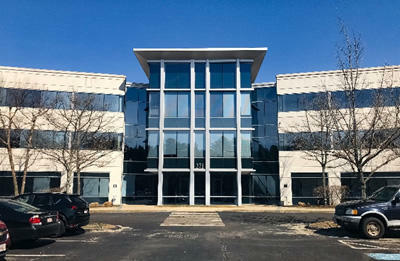 "Massachusetts being the hub of US Pharmaceutical activity expansion, with increasing biopharmaceutical start-up ventures, and relocation of companies to the area could create endless synergies for AKBA and its customers," said Ken Shinomiya, Senior General Manager, Head of the Bioprocess Division within Asahi Kasei Medical. "This innovative and customer-centric venture is one of many actions that we do to realize our slogan: Pioneering Biologics Safety and Manufacturing Efficiency". Asahi Kasei first developed Planova™ virus-removal filters, the first virus filters available for plasma-derived and biopharmaceutical products, for commercial sale in 1989. Since then, we have successfully launched 35N, 20N, 15N and BioEX virus filters, and as well offer an extensive array of liquid-handling, chromatographic, and award-winning inline buffer dilution instruments. We also offer a new line of high-capacity chromatographic resins. While we have accumulated over 30 years of trusted use in the production of biotherapeutics with Planova virus removal filters, we continue to innovate solutions, products and services to help our customers in achieving biologics safety and manufacturing efficiency. Asahi Kasei Medical, one of the core operating companies in the Health Care Sector of Asahi Kasei Group, is the parent company of Asahi Kasei Bioprocess America. For more information, visit www.asahi-kasei.co.jp/medical/en/. ZOLL Medical, headquartered in Chelmsford, Massachusetts, is an Asahi Kasei Group Company that develops and markets medical devices and software solutions that help advance emergency care and save lives. For more information, visit www.zoll.com.